Headline on page 14 of the Wednesday, May 20, 2015 edition of the Chicago Tribune. The Associated Press journalist, Matthew Perrone then goes on, “But critics point to dangers of a largely unregulated trade.” This is a well written article in which Perrone highlights the charlatans doing the wrong thing, breaking the law, and doing harm. He did his home- work and focuses on the quackery, false claims and almost wholly unregulated mushrooming adipose derived business not unlike what Pope Brock did in his 2008 novel, Charlatan. Perrone brings into focus the quacks that prey on desperate patients seeking miracles in treating progressive neurologic disorders and the like. As my good friend opined after having read the article, “when ever a new avenue opens, the easy money guys stream in.”Incidentally, the exposure of those who state” if I am breaking the law, how come I haven’t been arrested yet?” isn’t new; 60 Minutes exposed those who seek to enrich themselves no matter the price to society several years ago. Last night, at the Goodman Theater, my wife and I saw Lillian Hellman’s The Little Foxes; very timely. The play takes place circa 1900, in a small Alabama town where the accumulation of wealth by the Hubbard family takes precedence over family, loyalty, decency, honor and morality. Toward the end of the play, the crowning statement in my mind was something to the effect that there are many Hubbard families out there in the mainstream America. This lack of professional integrity and opportunism is engrained in our society so how do you protect yourself as a patient, be it Bone Marrow Aspirate Concentrate to postpone or avoid a joint replacement or any other area of medical care? 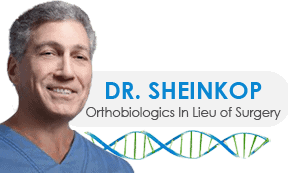 The list of reasons to seek out Cellular Orthopedics and Regenerative Medicine is really the lengthy list of contraindications to surgery because of co-morbidities that preclude a total joint replacement surgical procedure. In addition, there are those patients who want to maintain or return to the highest level of recreational endeavor. The answer is quality assurance by your Regenerative Medical specialist assuring you the recommendations and the intervention are evidence based. That evidence comes from ongoing clinical research integrated with clinical care, not just completing a procedure and handing out a bill. You will find that level of evidence based care within the Regenexx Network of physicians located now thoughout the United States. These are not doctors who took a weekend seminar offered by a training company. At Regenexx, we do not treat anything outside the realm of orthopedic diseases. I partake in many week-long courses over the calendar year in which I not only learn but present my data collected on an ongoing basis. Next month, I am off to present my data at TOBI; a four day international program limited to arthritis and sports related injuries. That’s what I do and that’s your assurance that what I do is based on clinical outcomes research and is evidence based.